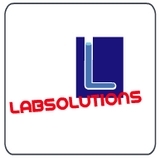 LABSOLUTIONS is the single source for all your science laboratory. Working with you, LABSOLUTIONS representatives will help you plan, purchase, and install all equipment needed for your laboratory. LABSOLUTIONS is a growing company in the field of laboratory and research equipment and consumables. LABSOLUTIONS is established in 2009 to provide the best solutions and services to laboratories and educational institutes. Now we are achieving our goals to serve the reputed customers like PGIMER Chandigarh, KU Kurukshetra, MDU Rohtak, CUP Bhatinda and other various valuable customers in Govt., semi Govt. and private sector. We are also going to start manufacturing of some equipment for the learners to teachers.